Having never experienced a hologram concert ourselves, we’re going to reserve judgement on the whole phenomenon. For certain, it could potentially be dazzling, but it also has the potential to exploit an artist’s legacy in strange and potentially distasteful ways. But if it’s going to work for anybody, Frank Zappa would be that artist. 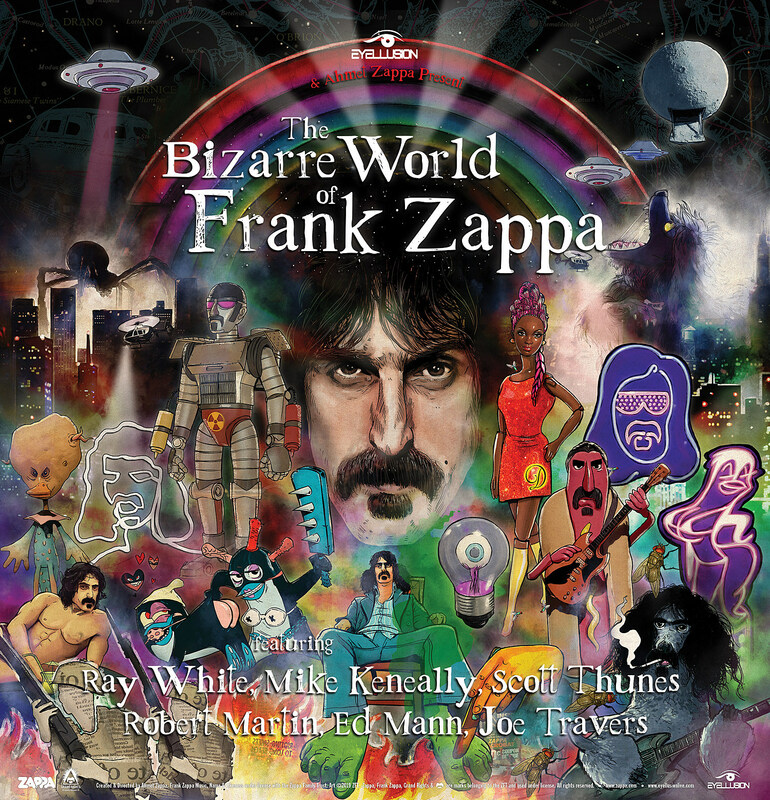 The just announced Bizarre World of Frank Zappa tour features many of the endlessly creative songwriter/guitarist/composer’s former bandmates: Ray White, Mike Keneally, Scott Thunes, Robert Martin, Ed Mann, and drummer Joe Travers, who also works as Zappa’s archivist. And per Brooklyn Vegan, Zappa’s son Ahmet — co-trustee of the Zappa Family Trust and executive vice president of Eyellusion, which produced the tour — the idea of a hologram production is something Zappa was fascinated by during his lifetime. Even though he passed away in 1993, he was laying groundwork and waiting for technology to catch up. My father and I actively discussed 3D and ‘holography’ and it was a concept he actively engaged in. He actually devoted half a chapter of his The Real Frank Zappa Book to this subject. This is a love letter and a journey celebrating the genius artistry of Frank Zappa. On a personal note, I feel like I am finishing something my father started years ago. And let’s not forget, Frank himself will be rocking his fans, alongside his bandmates like nobody’s business. The short tour makes two stops in the XPN listening region: first the the Kirby Center in Wilkes-Barre on May 1st, and then at the Scottish Rite Auditorium in Collingswood on May 2. Tickets and more information can be found at the XPN Concert Calendar. Get the full tour dates below, and check out a trailer for The Bizarre World of Frank Zappa via YouTube.